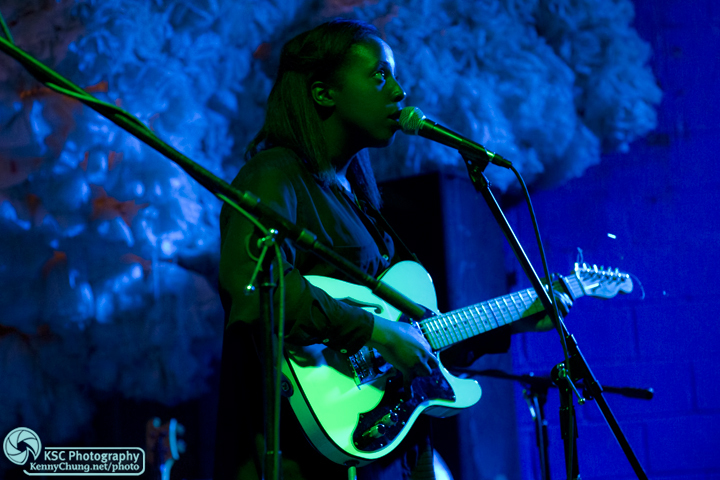 One of my favorite songs of 2012 so far has been "Blank Maps" by Cold Specks. So I jumped at the chance to see her during her third performance in New York. From radio interviews I'd heard, singer Al Spx could not tour with her entire 5-piece band due to budget constraints on previous tours. But they pulled out all the stops for this show. 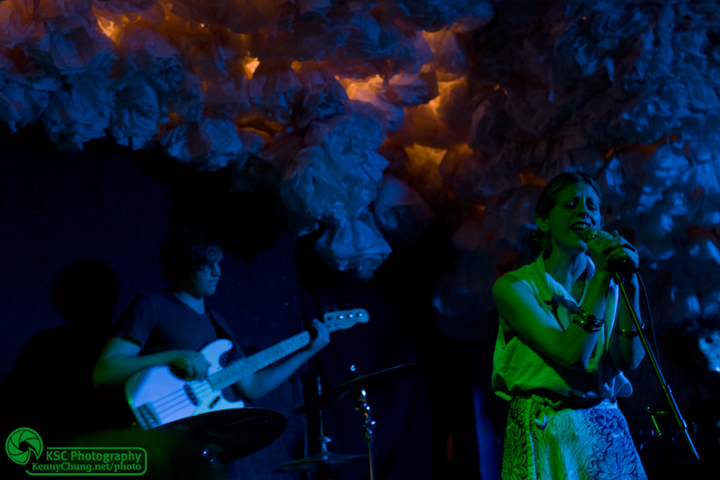 The second opening act, Doe Paoro, was a show stealer. An amazing talent with an unforgettable voice. My only complaint of the night was the terrible lighting! Everything had a green wash, which was incredibly hard to color-correct in post. singer Doe Paoro, or rather, I should refer to her as a performance artist. Great stage presence, amazing band, and was definitely the biggest surprise of the night for me. 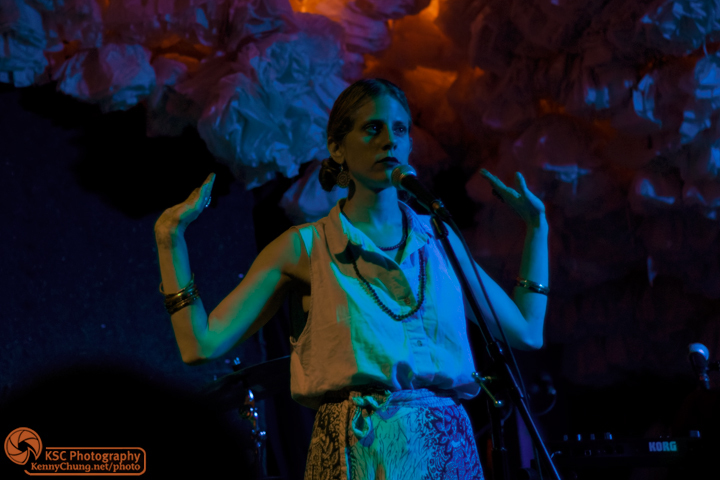 Doe Paoro's voice was powerful, but she had amazing control over it without losing intensity. I highly recommend catching them live if you can. 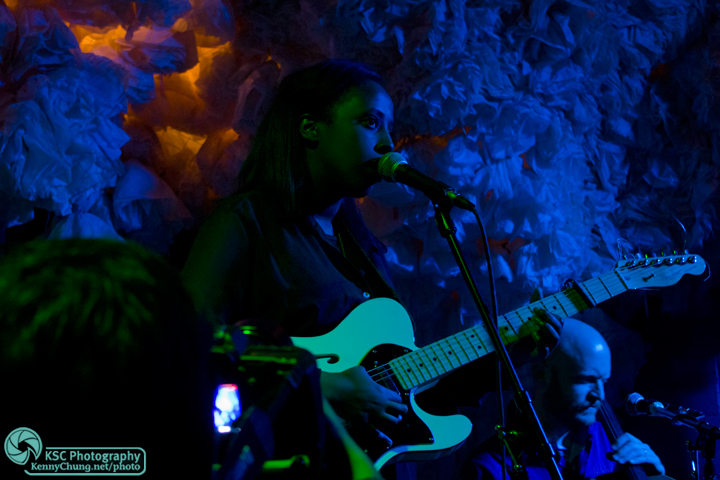 Cold Specks took to the stage with its full band. 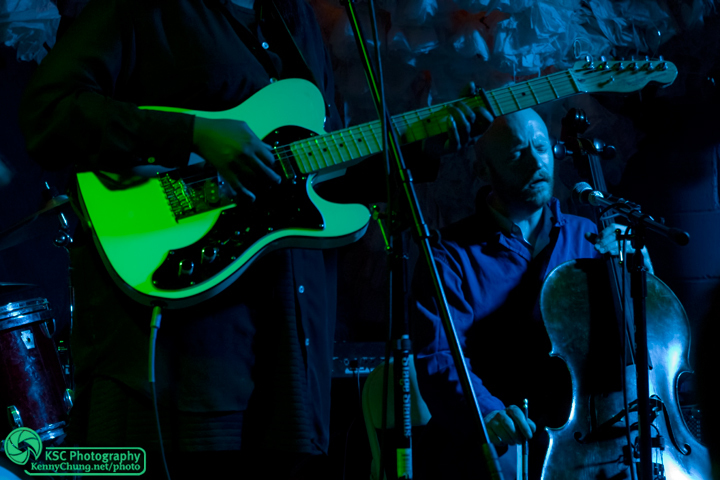 Al Spx with the guitarist and drummer from Cold Specks. It's interesting how "Cold Specks" has morphed from a stage name to a band name. Al Spx's semi-hollow Fender Telecaster and her bandmate playing the cello. He also played the electric bass. 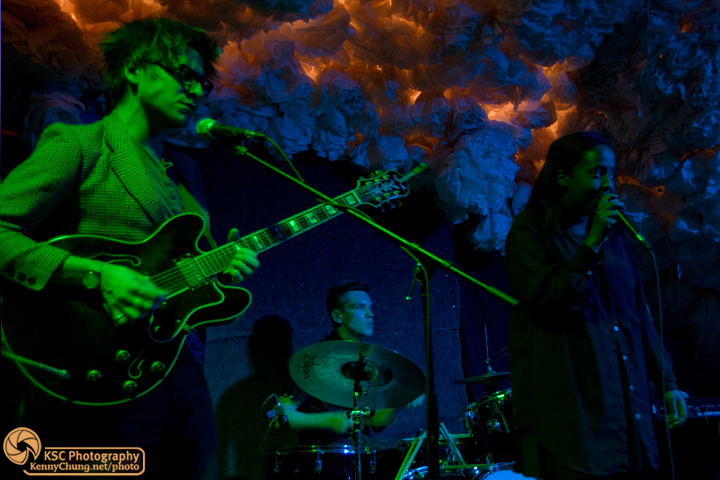 It was my first time at Glasslands in Williamsburg, but I immediately fell in love with the stage design. 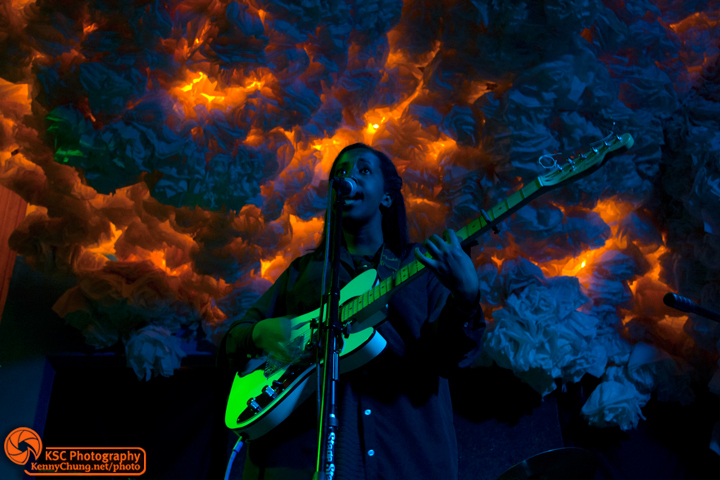 Where else could you take a photo of Al Spx/Cold Specks with a backdrop akin to clouds on fire? Al Spx Came back for a solo encore, which included an amazing gospel-like acapella performance. She actually stepped away from the microphone and you could still hear her throughout the venue. Really powerful stuff.